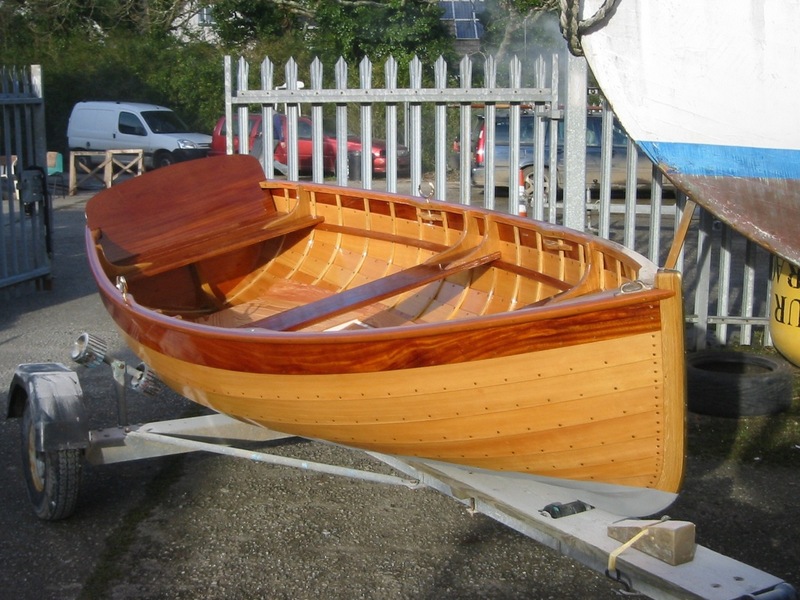 Fowey boat builder Marcus Lewis has this newly built 11ft clinker-built rowing dinghy for sale. 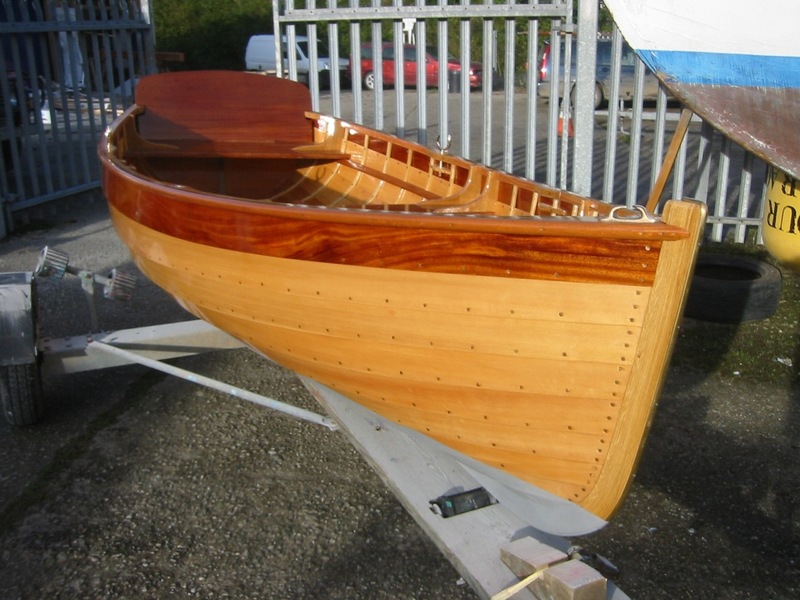 The handsome little boat is based on a tender to the sailing yacht Veronique owned by Colonel Treffry, of Place near Fowey in the 1930s. 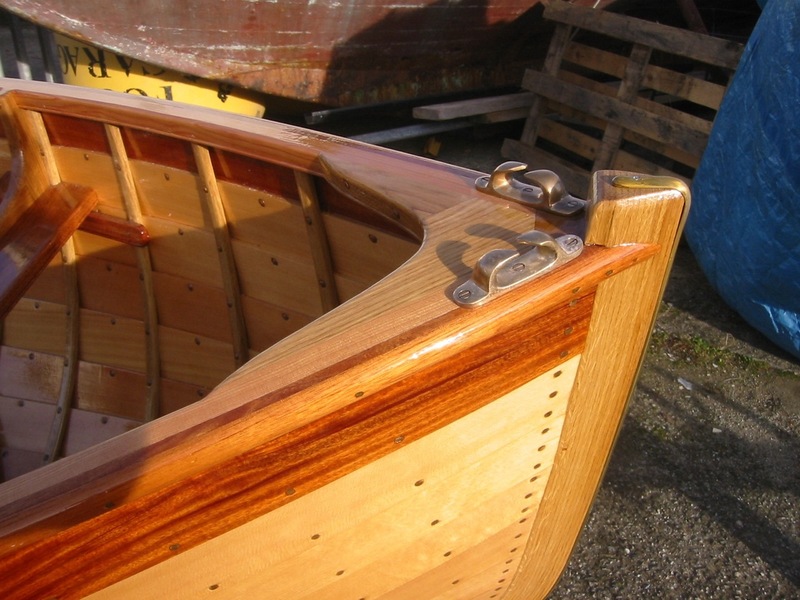 It is planked in spruce, with steamed oak timbers, mahogany top strake and seats, and will be supplied complete with a pair of scoop paddles, bronze rowlocks, and a cover. 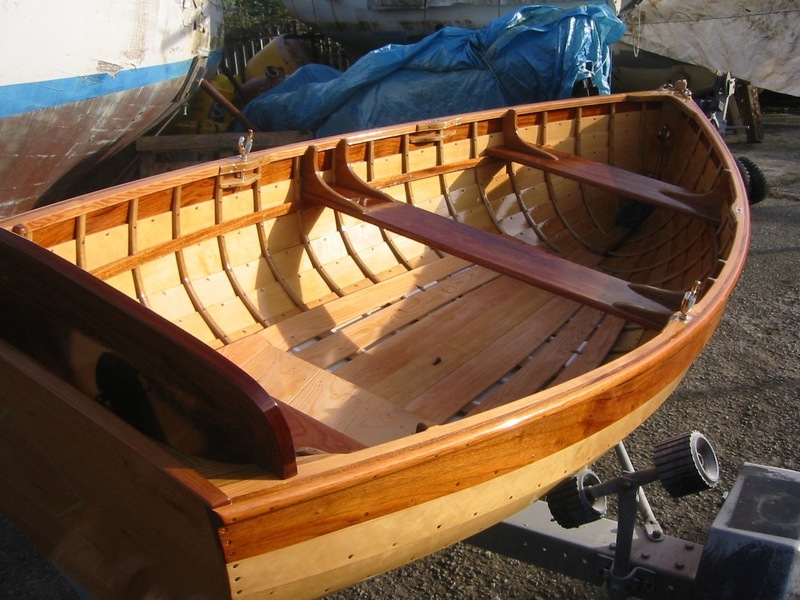 Marcus tells me he’s currently building two Fowey River dinghies scheduled for completion this spring: the planking is almost complete, the green oak is ready to slice for timbers, and the copper nails are on order. Also, the 18ft Percy Mitchell-built Tosher Marcus has stored for some time has got to go because he needs the space it is currently occupying. 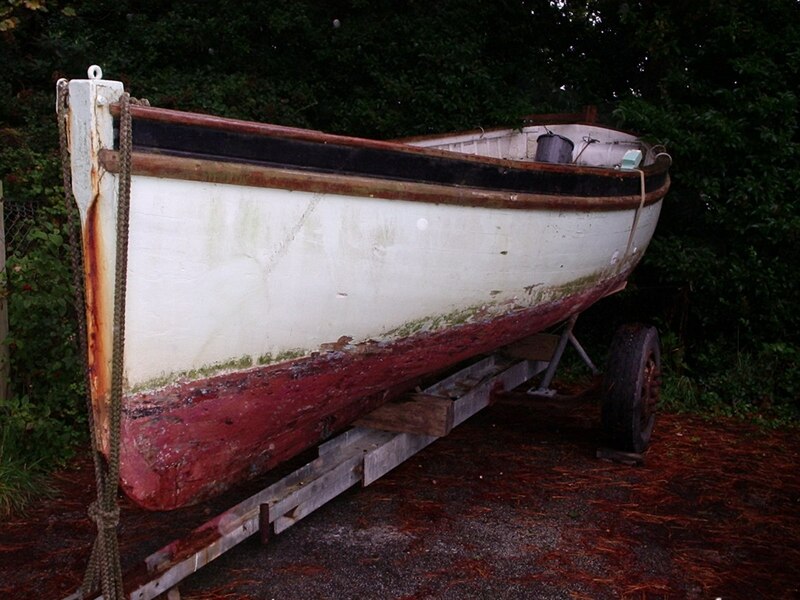 It needs a complete rebuild, but Marcus says it has suberbly shaped hull suitable for almost anything. ‘The last owner put in a big Lister two-cylinder diesel and went fishing, but the usual treatment these days is a gaff rig, with a 4-5ft bowsprit, jib and staysail, with a topsail if you are feeling adventurous.